Running a business is more complicated than ever before. Customers demand high-quality products and services for the cheapest price possible. Moreover, competition comes from everywhere, both domestically and internationally. Thus, the pressure has never been greater for enterprises to examine their business from top to bottom, to analyze every cost, and to streamline every process. This certainly includes analysis of the company’s supply chain and all of the company’s contracts. An organization may have leases, contracts with customers, vendor agreements, construction contracts, utility contracts, employment agreements, independent contractor agreements, and contracts with numerous other stakeholders. By identifying best practices in contract management, companies can reduce costs and risk. That includes adoption of appropriate contract management software and other practices to ensure smarter contracts. In this article, we will discuss some ways that a company’s contracting procedures and contract management system can provide the business with a competitive advantage. Never enter into a complicated contract without first consulting with legal counsel. We know it can be expensive, but no one is in a better position than an attorney to make a contract smarter. After all, lawyers are trained to dream up worst-case scenarios and either prevent them, or address how they will be resolved if they do occur. If there ever was a time that “an ounce of prevention is worth a pound of cure,” this is it. And while letting another lawyer prepare the first draft may save a few bucks up front, the final contract usually ends up with several “boilerplate” provisions that favor the party that prepared the first draft. Why not let that be you? Think about all the times in your personal life you have wasted an inordinate amount of time and effort searching for an important item or document. Now, imagine that you are a company with thousands, or maybe even tens of thousands, of contracts and important documents. Obviously, a company with an inefficient system of managing these contracts produces a lot of wasted time and resources. An inability to properly manage and audit existing contracts not only results in misplaced or even lost contracts, but also hampers the company’s ability to efficiently make new contracts smarter. The International Association for Contract and Commercial Management (IACCM) notes that most businesses waste money recreating lost contracts. According to IndustryWeek, a centralized repository to manage a company’s contracts is “the core of an effective contract management program.” We couldn’t agree more. For example, most organizations have contractual clauses, wording, or provisions that they prefer to include in their new contracts. By maintaining all of the company’s contracts in one place, they can be easily searched to find and reuse important contractual language when drafting new contracts. Plus, the centralized repository ensures that contracts don’t get lost. Digitizing contracts and maintaining them in a centralized repository go hand in hand. By using OCR technology, contracts can be scanned and stored digitally. But more importantly, OCR allows speed searching of a company’s entire database of contracts - even scans. Need a forum selection clause to include in a new contract? A quick Google-type search of your prior contracts will let you quickly find and analyze all the forum selection clauses you’ve used in the past, thereby permitting an efficient and informed decision on what to use now. Or perhaps the company has decided that every agreement should have a “force majeure” or “Act of God” clause. A quick search will identify every contract that does not have such a clause, so that you can address it when the contract is renegotiated. This assists in moving toward standardization of the company’s contracts. While we’re on the topic of standardization, every business contract should, at a minimum, address the forum and location for dispute resolution. For companies that operate in multiple jurisdictions, the parties should consider a choice of law provision. Companies need to monitor contracts to make sure that the other party meets deliverables, makes required payments, and complies with other important contractual clauses. This sounds easy enough, but did you know that at any given time most companies don’t even know where some of their contracts are located? That can make it hard to make sure that they stay compliant! We handled that issue in part in the discussion above concerning digitization of the company’s contracts and storage in a centralized repository. But it’s important to go a step further and carefully track important dates, such as automatic renewals and opt-out dates. After all, since contract management best practices include making contracts smarter by containing specific dates and deliverables, and other ways to measure performance, the organization should also have a contract management system that tracks all key dates and sends email reminders to the appropriate personnel. That way, nothing is left to chance. 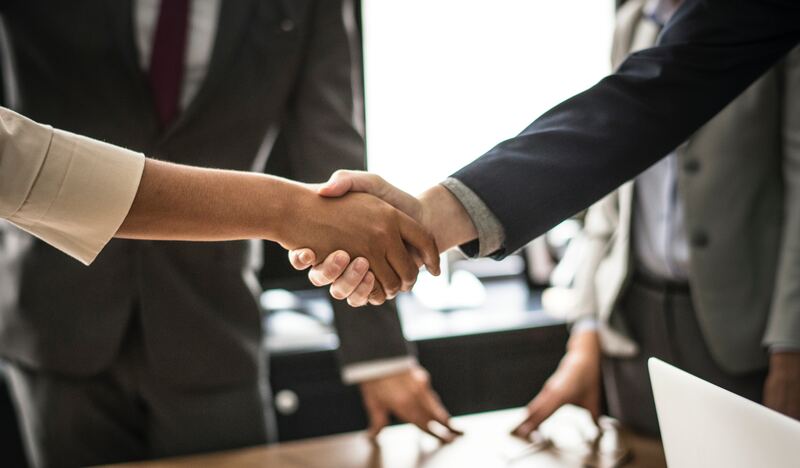 At ContractSafe, we recognize that you can get a quick leg up on the competition by following contract management best practices, and investing in the right contract management solution. We’ve already handled all the heavy lifting for you by creating a contract management system that includes all the features discussed above, and which is super easy to use, easy to implement, and easy to understand. Start your free trial today! What Makes a Good Contract Manager? March Release Notes: Bulk Edits, Advanced Filtering and more! What is Contract Metadata and Why Should You Care? See something you like? Share….